Additive | CMI Marketing Sdn. Bhd. 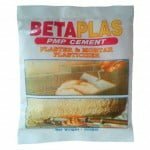 CMI BETAPLAS PMP CEMENT is a ready to use plasticizing powder additive added into plaster and mortar mixes to increase it’s workability and adhesion strength. It is specially formulated as a superior alternative to lime putty or slaked lime for cementitious mixes at site. It conforms to BS 4887 ( 1973 ) and is suitable for use in interior and exterior areas such as general purpose repair mortar, wall plastering, floor screeds and masonry mortar for laying brick and blockwalls. 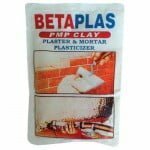 CMI BETAPLAS PMP CLAY is a ready to use plasticizing powder additive added into plaster and mortar mixes to increase it’s workability and adhesion strength. It is specially formulated as a superior alternative to lime putty or slaked lime for cementitious mixes at site. It conforms to BS 4887 ( 1973 ) and is suitable for use in interior and exterior areas such as general purpose repair mortar, wall plastering, floor screeds and masonry mortar for laying brick and blockwalls.